The case for less empty space: how much is void fill costing you? Imagine you could save some 25% in shipping costs every year. At the same time, you would lower your environmental impact, improve your efficiency and build up your brand. Sound impossible? It’s not. Because it’s all connected. Like the unwitting princess on the pea, you’re sitting on an unidentified issue. It’s called the empty space economy. 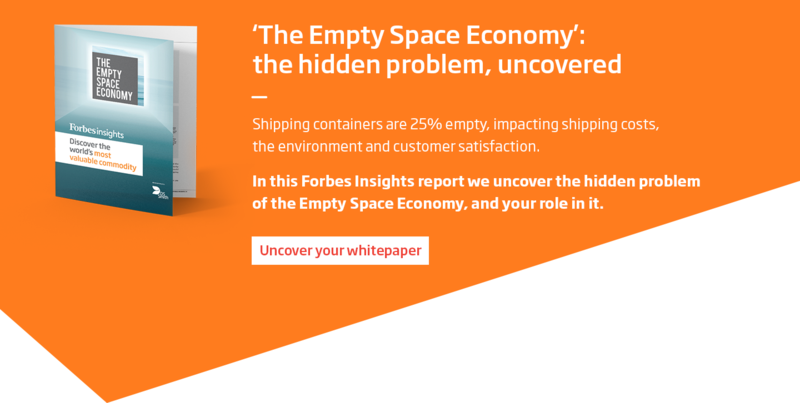 Consider this: according to a survey conducted by Forbes Insight and DS Smith, on average, 24% of every container sailing across our oceans is empty. This results in the equivalent of about 61 million TEU containers being shipped unnecessarily each year. Or roughly $46 billion in potential global savings. Why does this waste happen? Because businesses have not found the right balance between eliminating empty space from their cartons and having the right size for an optimum container ﬁll at the same time. Let’s take a closer look at the key benefits of reducing empty space. And why it should quickly become a high priority on executive agendas. Whether you care about your environmental impact and customer experience or not (spoiler alert: you should! ), eliminating void fill is just common sense. The equivalent of 61 million TEU (Twenty Foot Equivalent Unit) containers is shipped unnecessarily. This translates to $46 billion globally a year in potential savings (conservative estimate). 5 out of 10 respondents think packaging efﬁciency could give companies an advantage over competitors. Manufacturers ship empty space in containers, emitting at least 122 million tonnes of carbon dioxide on a yearly basis. Products make it to shore and are sent from distribution centres to customers’ doors in individual e-com packaging. Again, void fill becomes a problem as excess packing materials like air pillows, paper filler or polystyrene are added, causing extra waste (not to mention added costs). Returns add to the issue: when an item is returned, the same amount of empty space usually travels back with the product. Since returns are often free, that is very likely to happen. 1 out of 3 items bought online are returned. The carbon emissions from shipping empty space are roughly equivalent to the annual CO2 emissions of the country of Belgium, Pakistan or Argentina. Only 3 out of 10 execs have conducted audits of empty space in shipping goods. Want your excellent reputation to precede you? Providing a great customer experience is crucial – and with e-commerce ever on the rise, the role of packaging is gaining importance. Increasingly, the e-com packaging experience is the only point of contact with the customer, turning it into the only opportunity for a brand to stand out. Apart from providing an enjoyable unboxing experience, don’t forget to highlight your sustainability efforts: it’s something the modern customer is paying more and more attention to. A big box with a tiny item is not a good look. Want to keep up? Make reduce, reuse, recycle your new mantra. Eliminating void fill is good for your brand, your customer and the environment. Find out which strategies to adopt and get inspired by real-world examples.